I'm very happy to be opening up one of my favorite products of all time - Champs Hockey! Although I'm not really a fan of mini cards, this eclectic set has really resonated with me. There are so many odd items and card variations to find. You never know what will come out when you purchase this brand! The Champs blaster box comes with 12 packs of cards. That seems like a hefty amount of packs, except that there are really only 4 cards per pack. The packs are very thin and it feels like if they are not opened carefully, the cards inside could be damaged. I have to be pretty careful when I open up the packs from this blaster. As I stated before, Champs has a ton of stuff to find in it. 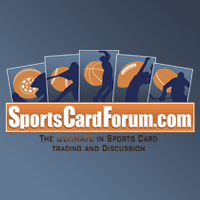 There are quite a few non-hockey cards in this brand. 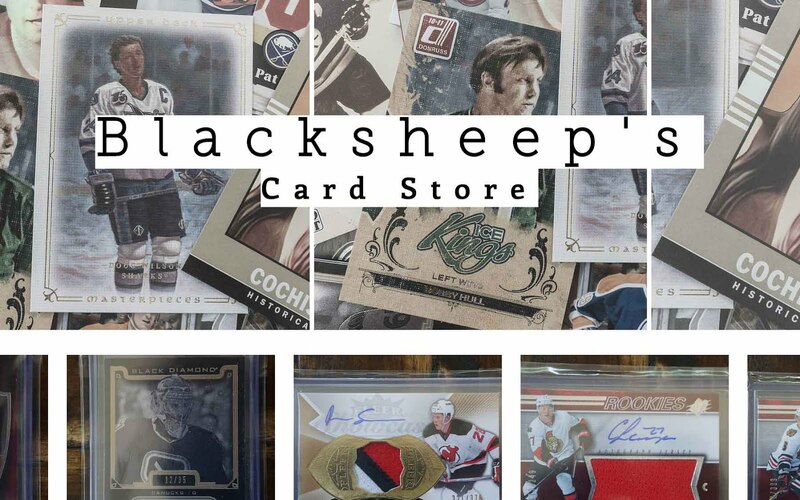 If you're really only into getting hockey cards, Champs is probably not for you. 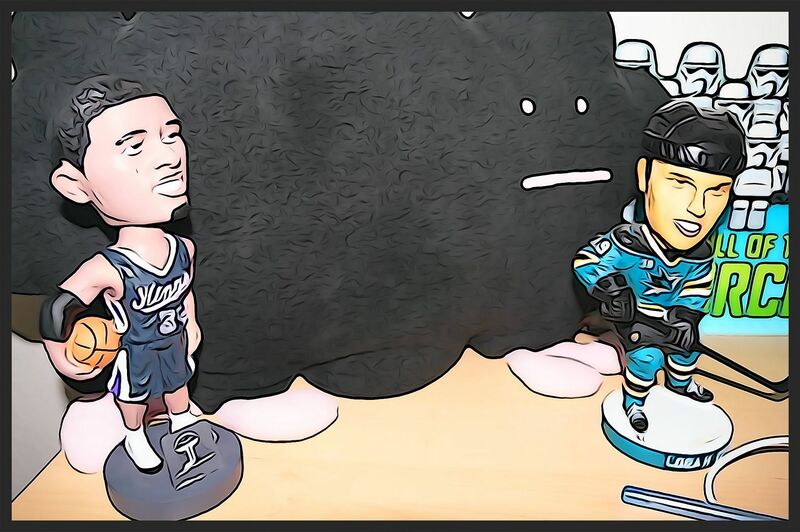 Anything from dinosaurs to presidents can be found alongside the hockey players featured here. The main base set is standard sized, but all the rookie cards are in the form of a mini card. The rookie cards do look nice as they feature a golden border that gives it just a bit more class. I'll be anticipating which rookies I get as I open this box. I was again really pleased with this blaster. Though there were so few cards per pack, I felt that the overall break was strong, and that I got a bunch of cards that I liked. It was actually even a challenge to pick the top three this week because there were multiple candidates that could have made the top trio. The blaster wasn't loaded with parallels this time around, but I did get at least one of each red, yellow, and teal parallel card. Parallel cards can be difficult pulls in this set. I was actually pretty surprised to find a yellow parallel as those are particularly tough compared to the other two. My two rookie mini cards were Ville Leino and John Negrin. Leino was one that I remember being mildly popular back in 2009, but Negrin is someone I don't know at all. Other notable mini cards were of Thomas Jefferson, an osprey, and Henrik Sedin. 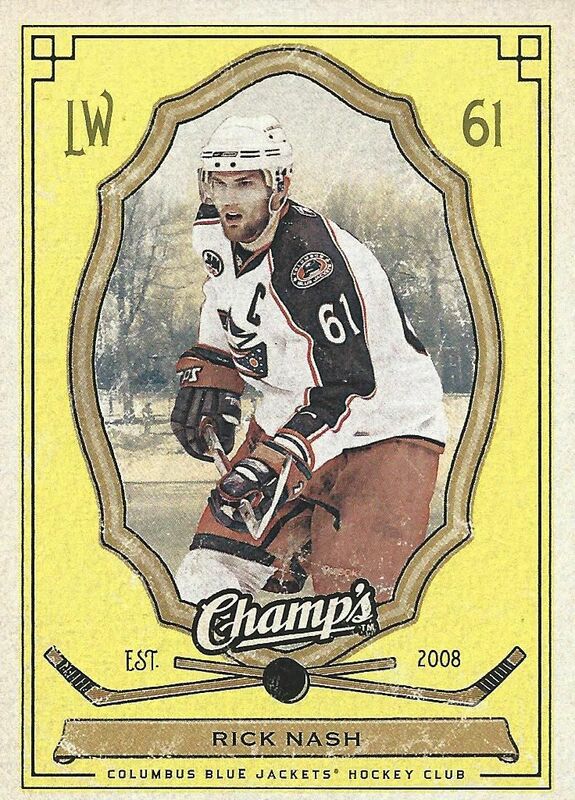 My yellow parallel card was of Rick Nash. The yellow parallels definitely stand out as the bright yellow background is very different from that standard blue hue of the regular base cards. 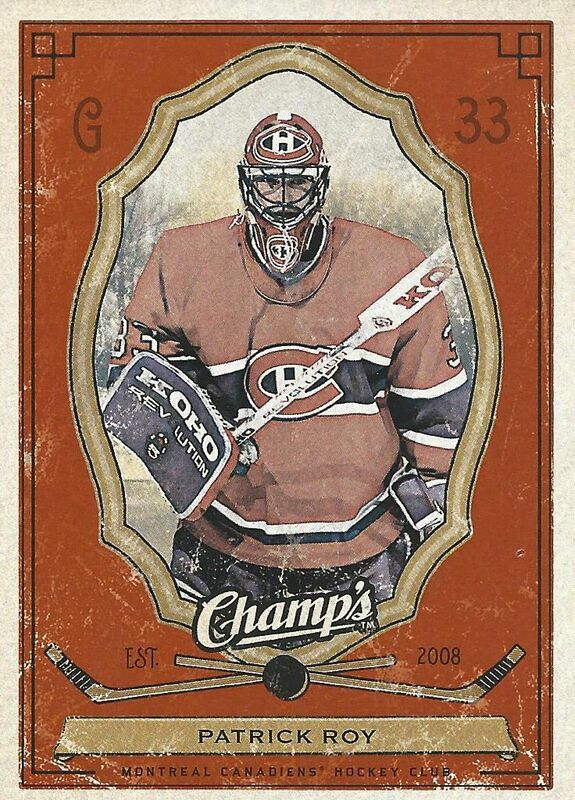 It was cool to pull this red parallel of Patrick Roy. Though the reds aren't as difficult as the yellow ones, I like Roy better, and this card looks very good to me. It was great to get another hit from a Champs blaster. This hit was better than the one that came out of my last box. It was funny that this card and his base card were the only two cards in the pack. This was another awesome value in terms of buying Upper Deck Champs. The blasters are really fun to open and getting quality cards has not been difficult. I would happily purchase many more of these blaster to open up whenever I can. Another solid Champs break Luke! There was a nice assortment of parallel inserts and mini cards so as you mentioned in your review, the value is definitely there. The original retail price would have been pretty fair for the "usual" blaster box content but snagging it for half of the MSRP is a bonus. 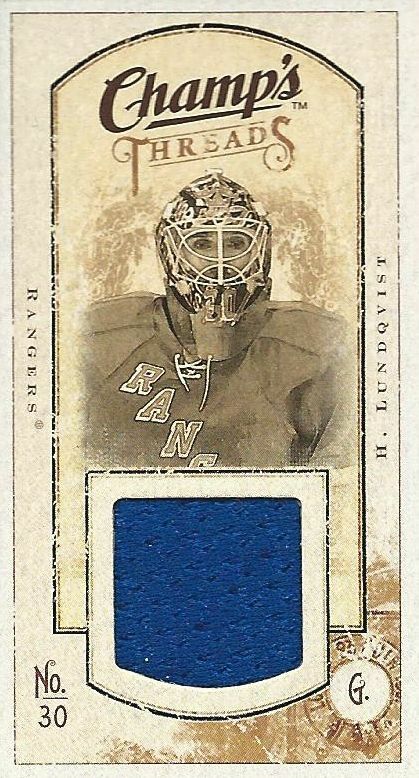 Loved the "unintentional" Lundqvist mini-jersey card and base pack as well as the various Canucks players scattered throughout the break!